Updates from the Waddons Factory. 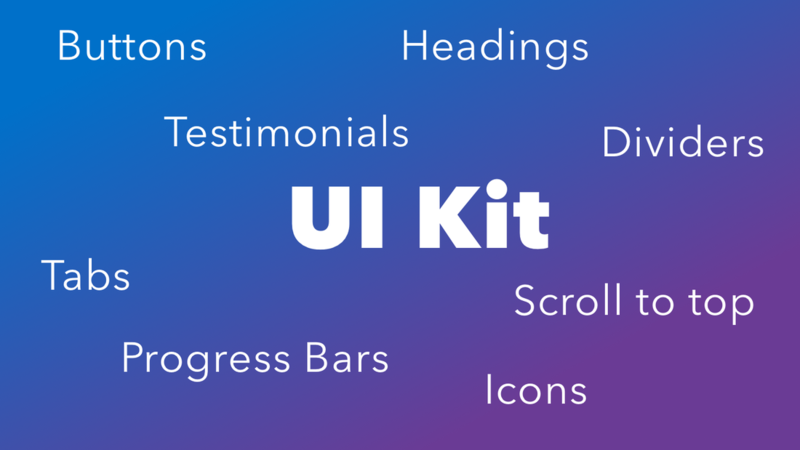 UI Kit for Weebly currently (Oct. 21 - 2016) contains 8 elements helping you to style and design your website. Style your buttons the way you like to have them, include an icon to refine them. Apart from having an infinite amount of styles that can be applied, you are also able to use any of the Google fonts available from their library, over 800 available! The most friendly SEO Heading levels up to date for your Weebly site. H1 to H6 all within a matter of clicks. Also here you can pick any of the 800+ available font families from the Google library. 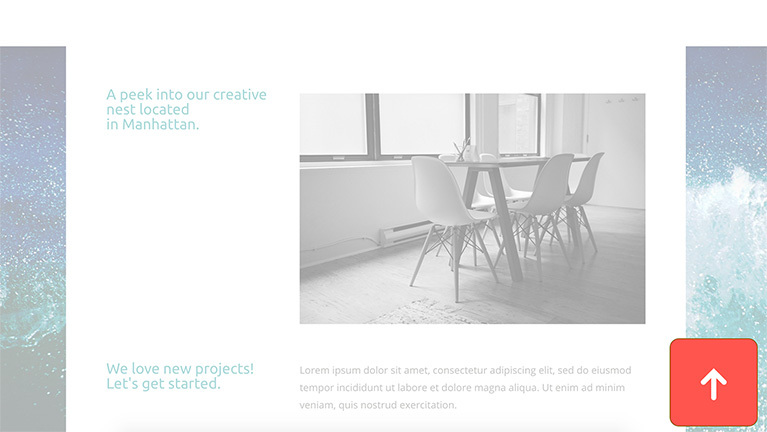 ​Add butter smooth animations to Weebly elements. Adding the Animator element on your page will create an area where you can drop Weebly elements. This area will have settings available for you to pick a nice animation. 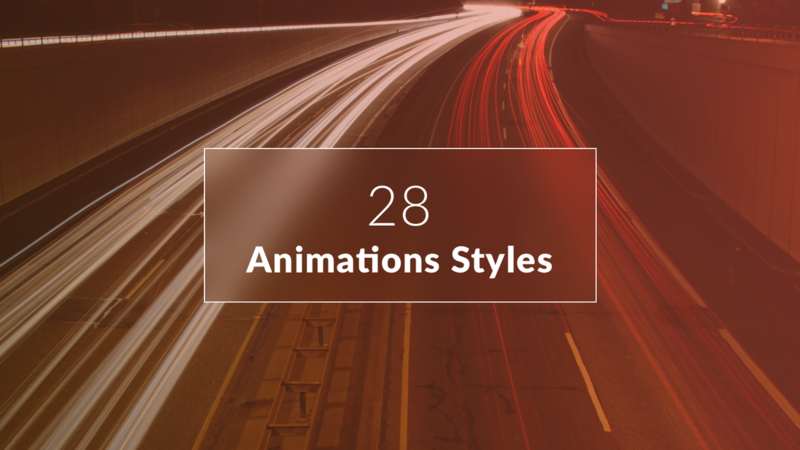 Choose out of 28 different effect for your content to animate on the page. Define delays and offset an element specific should be animated. 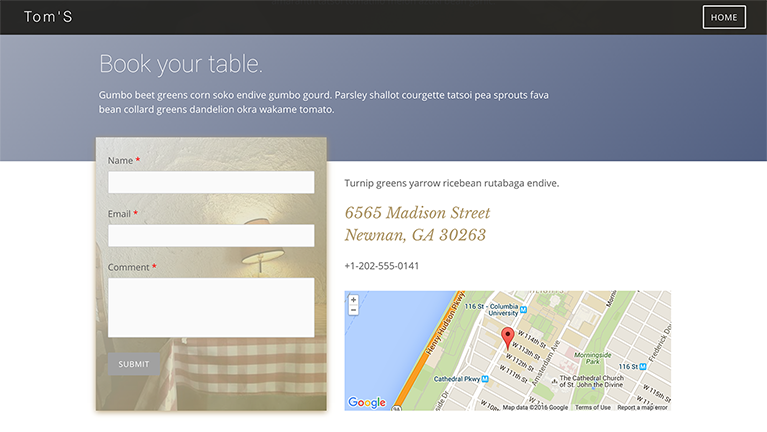 ​Weebly has released a new element called 'Sections'. Being 'similar' to our Sectionizer element, do we like it? No, we love it! offering custom background colors, images and for all pro users even video backgrounds. So when to use Sectionizer and when to use Sections? 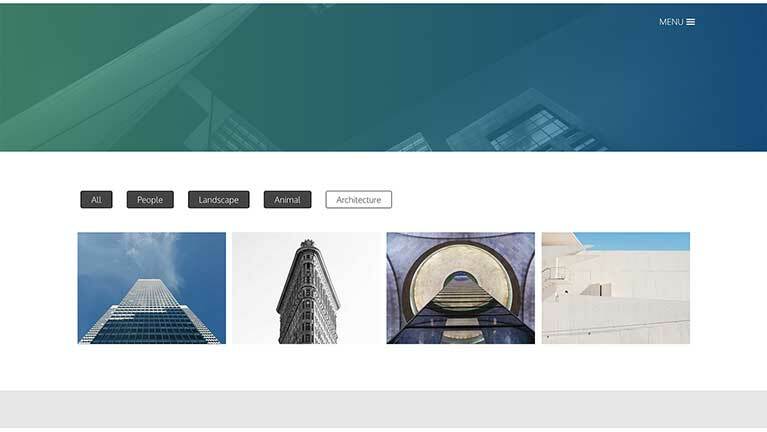 If you want to create full width sections extending your page layout with beautiful color areas, an image or video background we strongly advice to do this with Weebly's new Sections element. Whenever you want to combine a background image with a gradient overlay, use boxed width areas that can have background images, color, border settings and use overlapping sections you can still use our Sectionizer element. As a conclusion, we absolutely love the user experience with the new Sections element but as you can see any good designer will keep loving the flexible options our Sectionizer element offers. 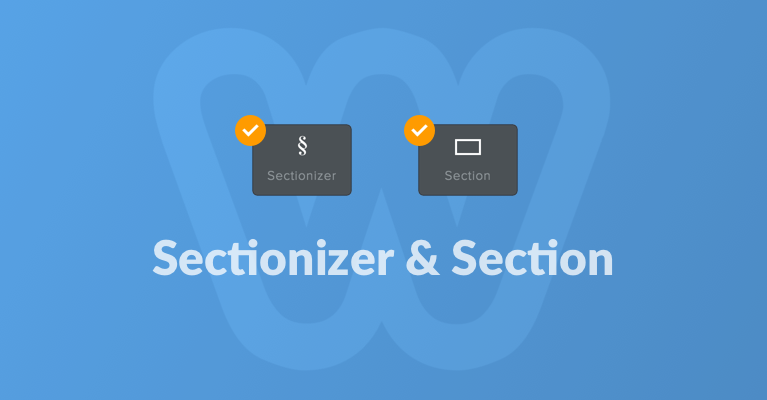 ﻿Sectionizer takes your Weebly design to the next level. You can create full width beautiful sections to drop your content. Lots of options to style the sections to fit the design you are looking for. Great feature to create landing pages that attract. Add background images, colors, gradients or combine them. Control over the borders, set the thickness, radius and type. Use Sectionizer for your next design. 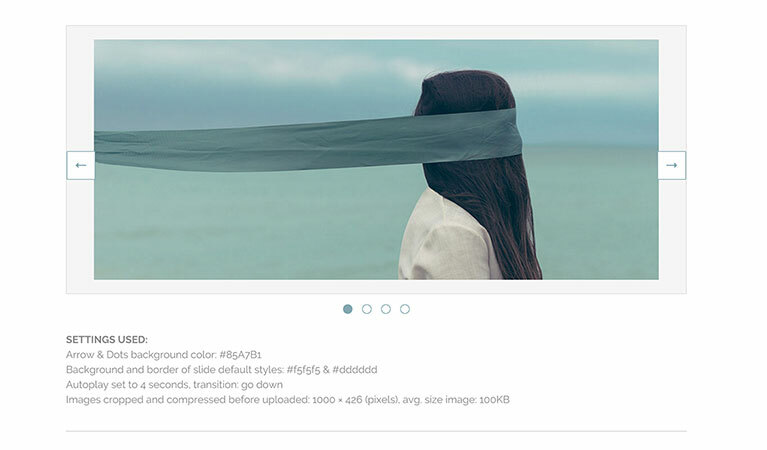 Gallery Filter needs to be used in combination with Weebly's Gallery Element. The element will allow you to create up to 10 titles to create categories where images of your gallery can belong to. Images can belong to multiple categories as well. 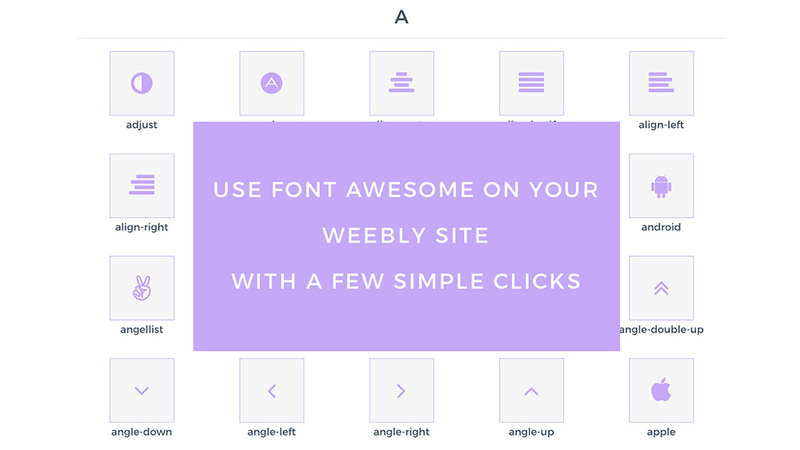 Style your titles accordingly so they nicely fit in with the rest of your designs created on Weebly. 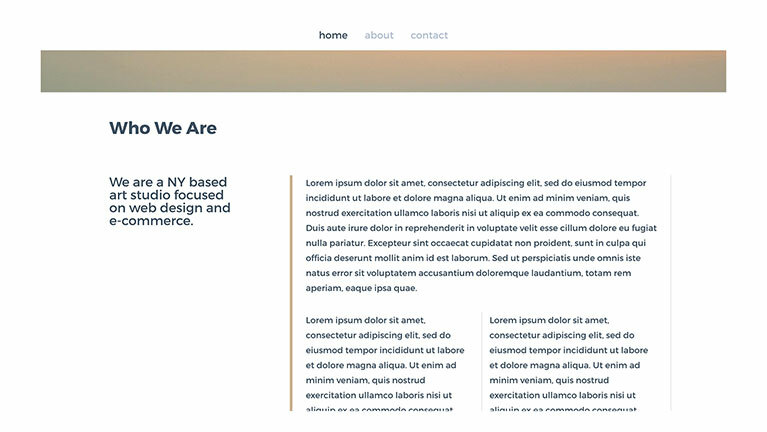 We have been listening to fellow users on the fabulous Weebly Community site, and read about many people having interest in creating a vertical divider element that would nicely adapt to the height of the content it is being used with. Vertical Divider will let you style and add a border on the left or right side of columns created in Weebly. This divider which is actually the border of the parent column element, will nicely adapt to the height its parent. For mobile view, when columns become blocks, we have switched off the divider. Easily create stunning Pop Up windows with Modal Pop for your Weebly websites. Also set cookies to control the amount of time between each time a visitor gets shown the same pop up returning to your page. Modal Pop can also be used to display videos with the Weebly youtube element. All with simple drag and drop as a native Weebly element. ﻿If you have long scrolling pages, Topit is ideal to have on your site. Topit is a back to top smooth scroll easy to configure element fixed positioned on your page. Plenty of options are included to make sure it can fit each theme's color scheme and design. ​A definite must have app for all Weebly users. ﻿With this app you can get access to the full Font Awesome library, consisting currently at over 600+ icons. Easily add color, background border and more to the icons to match your website's color palette and style. Add fancy hover effects to give a professional impression, all within the reach of a few clicks. View DEMOS or go directly to the App Center and find out all about this amazing app. This responsive slider let's you easily create great slideshows on your page, it can be used both as an images or content slider. Drop native Weebly elements in the slides to populate them with content. The Chameleon Slider comes with tons of options trying to adapt to as many needs as possible. Check out some LIVE DEMOS or go straight to the App Center and find out more about it.